Member Login email: password: Remember me Forget your password? 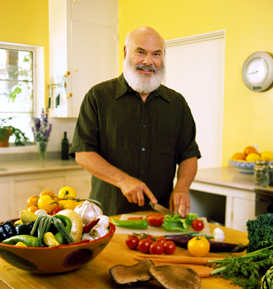 Hello, I'm Dr. Andrew Weil and I am delighted to welcome you to Dr. Weil on Healthy Aging: Your Online Guide to the Anti-Inflammatory Diet. No matter what your age, this online resource provides the education, information, and support you need to begin maximizing your health and well-being. I believe that the Anti-Inflammatory Diet can help us all age with grace and delay the onset of age-related disease and discomfort. By developing the lifestyle practices suggested within, you can experience optimal health and well-being. Join me and let's begin working toward your personal goals of physical, mental and spiritual health - together. Why join Dr. Weil on Healthy Aging: Your Online Guide to the Anti-Inflammatory Diet? Our in-depth information, interactive tools, exclusive content and supportive community can help you achieve your goals! Eating healthy made simple. Help protect against age-related conditions with our exclusive version of Dr. Weil's Anti-Inflammatory Food Pyramid - it includes links to recipes using the recommended foods. Know what foods are in season? If the oils in your pantry are the healthiest choices? What to buy organic? Our time-saving guides and tips allow you to plan, prepare and organize your health priorities. You'll have access to almost 300 recipes following Dr. Weil's anti-inflammatory diet suggestions and dozens of videos featuring Dr. Weil cooking. A new recipe is added each week! In addition to 30% off, for 14 days you will have complete access to the Healthy Aging Web site absolutely FREE! When you continue as a member, you pay only $3.99 per week, billed quarterly. You will only be charged when you continue on as a Healthy Aging member after the free 14-day trial period. Your 30% off discount will be applied to your first quarter statement. Click here for terms and conditions. All material provided on the Dr. Weil on Healthy Aging Web site is provided for informational or educational purposes only. Consult a physician regarding the applicability of any opinions or recommendations with respect to your symptoms or medical condition.